If you love to cook for your family, then here is one kitchen accessory that you absolutely need; an all in one choper, dicer, slicer and grater. 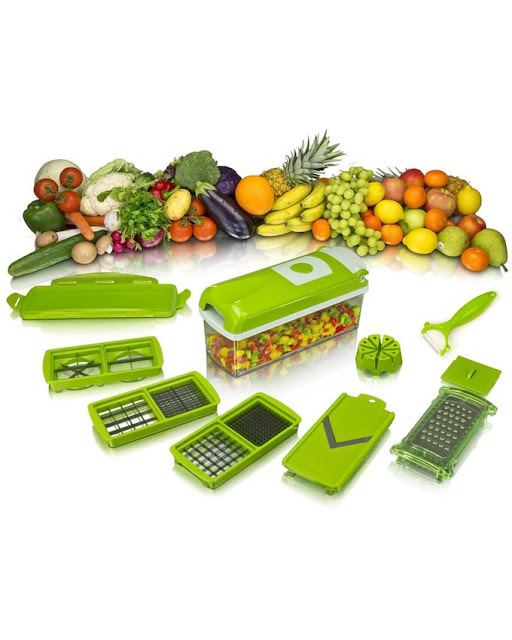 The chopper is very convenient when it comes to one handed chopping of vegetables, fruits, nuts and chocolates. This comes in handy especially when you have a fussy little one limiting the use of both of your hands. You will still be able to hold your baby and chop up the food you are preparing with no mess. Preparing food is now as easy as pressing the pusher lid down. The pieces are collected into the measuring food containers for your convenience. The dicer, chopper normally goes for Ksh. 4,000 but you can get it at a 50% discount for Ksh. 2,000 on Jumia Kenya now. The prices are valid as at the time of publishing the post. You can see the current pricing and specifications here.